Mill Lane Studio: Add a bit of Sparkle! At this time of year we are awash with festive glitter so I've decided that I too would get in on the act and combine resin and glitter. No, they're not Christmassy but they sparkle all the same and a girl can never have too many sparkles. So here's a little bit of resin eye candy to enjoy. The first bangle is a very delicate shade of lemon. 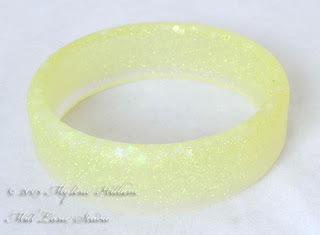 There's actually no colour in this bangle at all, just a good dose of yellow glitter to give it lots of sparkle. And this one is filled with iridescent Mylar flakes and the tiniest bit of dye. It's such a frosty effect that I called it Ice Queen. 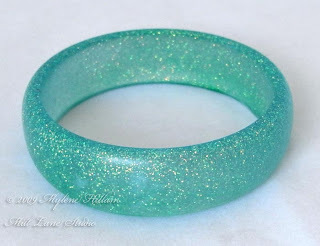 And lastly, a green and blue bangle..... almost turquoise, but not quite. Lots of my resin workshop students really want to produce turquoise bangles and these are the two colours to use if you don't have turquoise dye on hand - just adjust the quantity of blue and green until you get the depth of colour you want. I also added a dash of yellow glitter to keep with the sparkly theme of today. 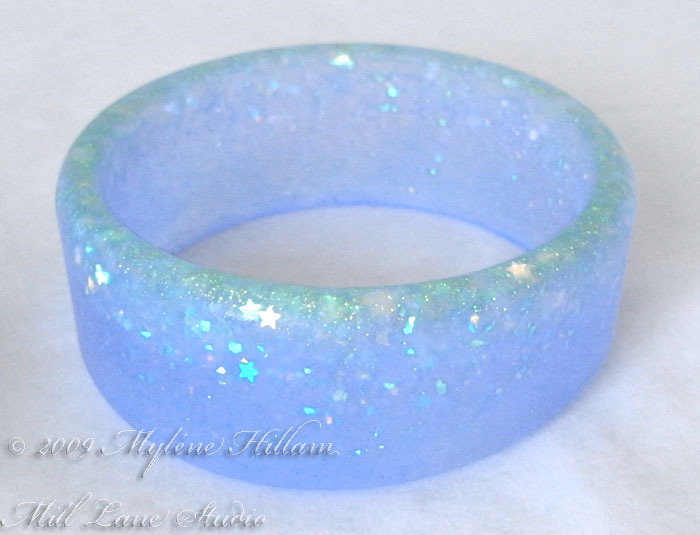 I've also been playing with pearlescent colours which has been a lot of fun so I'll share those bangles with you another day.